While Dato Chevy Beh was busy creating major waves within the healthcare industry, things however, took a dramatic turn when one of his best friend’s Wayne had a near-death experience with dengue fever. When Wayne first began to fall ill, he underwent blood testing at his doctor’s office and was sent home with negative results. His fever soon receded, and he believed that he was on the road to recovery and so he took matters in his stride. However, three days later, his condition worsened dramatically and a general practitioner ordered him to be admitted to a hospital as soon as possible. While waiting for a long time at the hospital to be admitted, he noticed that his gums were bleeding and he frantically called Beh regarding the news. Beh was able to quickly arrange for Wayne’s admission. The attending physician mentioned that had Wayne been admitted any latter, his life would have been at risk. Driven by his close friend’s near-death experience, he pledged to do something drastic to address the inefficiencies and the informational asymmetries in healthcare. His solution to the gaps in the healthcare industry is BookDoc. He founded BookDoc in July 2015 along with Joel Neoh (founder of Groupon Malaysia and former CEO of Asia Pacific for Groupon). BookDoc is a platform that will link up those in need with those who could assist, anytime and anywhere, by optimising precious time for all the involved parties. The benefits of early and quick access to healthcare are crucial. While I wanted to test out the platform for this article, a representative from BookDoc informed me that the platform will only be limited to corporate clients for the time being as they as they just completed their seven-digit pre-seed evaluation (USD) a month ago, giving the company the title of having raised the highest pre-seed valuation in the Asian tech app history. The platform has been backed by a diverse group of investors from entrepreneurs to seasoned healthcare and insurance professionals, bankers, regulators along with ICT professionals. BookDoc will help said corporate clients to unite their employees with panel clinics and hospitals to help improve the productivity of their workforce, optimise health benefit cost, automate HR processes coupled with data analytics for better management of their staff. BookDoc will provide the companies with an analytic dashboard that will help them better understand their staff’s health seeking patterns, this in turn would give them a better idea of their staff’s long-term medical needs. The analytics can also be used for a productive outcome during negotiations for the staff’s medical insurance coverage. 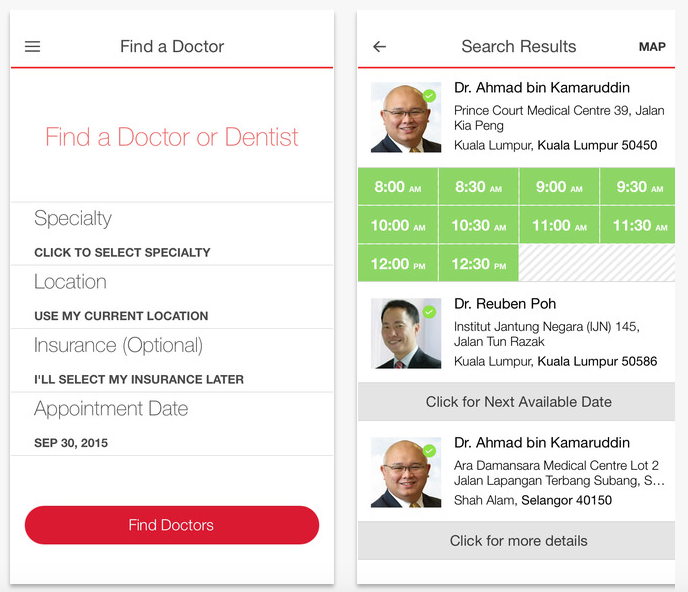 The platform will also allow the companies to directly update the panel clinics and hospitals directly from the app itself, and this will save them time (read: time = money) and eventually reduce the chance of employees not being reimbursed for their claims. BookDoc first started with only 4 people but once they started approaching cooperations they soon realised that the take up was way higher. They had to cater to clients that had over 4,000 employees and numerous panel clinics. In order to scale and grow, some of the pre-seed fund will be invested into BookDoc’s workforce to equip them with both passion and expertise. The platform has been able to generate income from early on and they will be charging the companies per employee every month. According to an interview between Dato Chevy Beh and Bloomberg, each of the companies is legally bound to the platform for a period of either a year or two to three years. This would allow them to generate a steady income for the next couple of years. Dato Chevy Beh began his illustrious career by first graduating from the University of Virginia with a double major in economics and East Asian studies. While he was there he captained the collegiate polo team and was merited with the National American-Intercollegiate All Stars, America. He was the first Asian to have been awarded with such an honour. 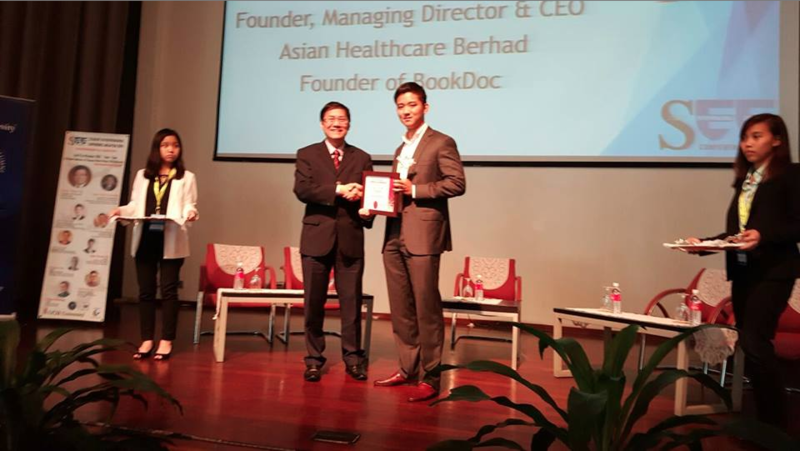 He then, went onto to achieve even bigger things within the Malaysian healthcare industry. He had quite an influential stint as the managing director at BP Healthcare Group from the year 2009 to 2014. During his time there, he expanded their customer base to way over 2 million while boosting the workforce from a team of 400 individuals all the way to 1300. He grew BP Healthcare Group’s 101 strategic business units such as their medical centre, diagnostics, dental, laboratory, food/environmental testing, eye clinics and hearing, to over 180. He played a key role in establishing strategic partnerships with leading local universities and institutions for various domains by partnering with Universiti Malaya (oral and dental care), Universiti Putra Malaysia (food testing services), Universiti Sains Malaysia (radiology), Tun Hussein Onn National Eye Hospital (eye and vision care) and Institute Jantung Negara (cardiology). Simultaneously, he also served on the board of directors for Pantai Hospital Ipoh and as the director of Sunway-City Ipoh. If this wasn’t enough, he later went on to start up the Asian Healthcare Group Berhad, which is potentially also the first Special Purpose Acquisition (SPAC) in Healthcare. Given that BookDoc is strapped with a significant amount of cash and expertise, they will be able to cater to large scale clients and help them to manage their healthcare based resources much better, thus making their workforce more productive. Unlike other on-demand services like Doctor2U, BookDoc is able to generate a steady income by charging companies monthly for their employees while holding onto prospective clients for a significant period of time. This hopefully, will allow them to maintain a steady cash flow to fuel both growth and their tactical operations. BookDoc is also looking to expand into newer markets like Singapore and Hong Kong by the end of this month and to Indonesia at a later point as well.